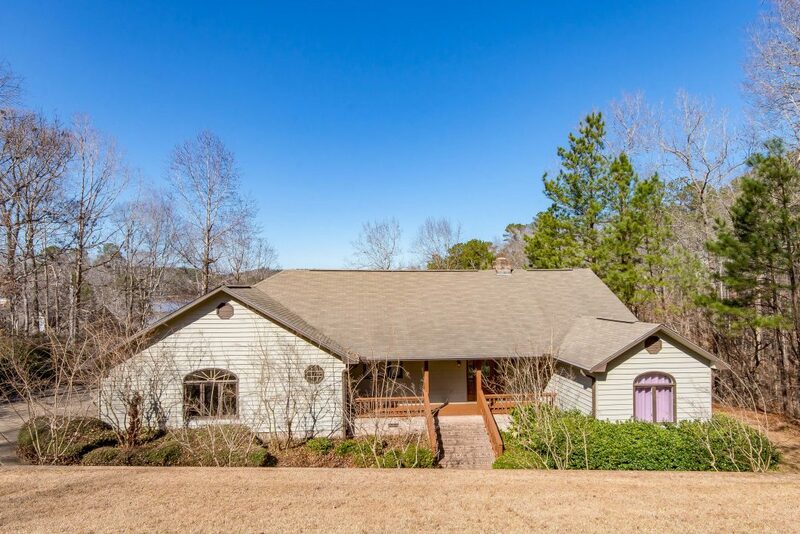 Are you looking for a move in ready, well maintained home at Lake Martin? Now you can stop looking – 350 Mountain Laurel Drive in the River Oaks neighborhood is for you! River Oaks is an established neighborhood on the north end of Lake Martin. It’s convenient to highway 280 and all of the shopping, restaurants, and medical facilities in Alex City. It’s also an easy drive from Birmingham, Auburn, and Georgia. Enjoy the bright kitchen with custom cabinets and classic tile floor. Beautiful hardwood floors throughout the home, stone fireplace with large hearth, vaulted ceilings in master bedroom, bathroom and main living area, lots of natural light in the master bathroom, two bedrooms and shared bath, a powder room for your guests close to living area – all on one level! As you approach the front of the home notice the large porch and landscaped yard. Out back on the lake side you will love the two decks – a covered deck and an open deck with huge views! Lots of room to relax and enjoy lake living! This property features a rare find on the lake – a large, attached garage to give you plenty of room to store your boat, golf cart and sea doos. The lot also has plenty of room for your family and friends to park. There is a concrete drive to the pier which is an added bonus. With an easy walk to the lake this lot is a great blend of water depth and lot slope. 350 Mountain Laurel offers year round water and an awesome view of the north lake area.